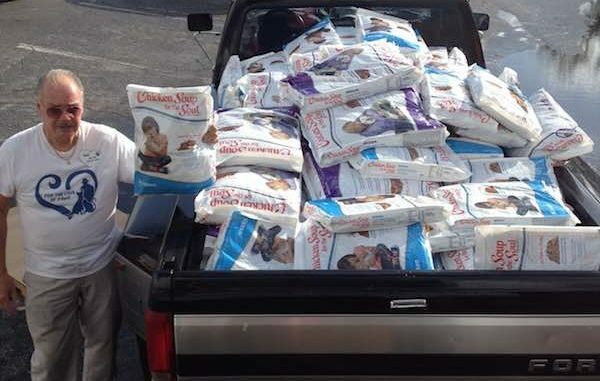 Chicken Soup for the Soul donates almost 30,000 pounds of pet food in Vero Beach. VERO BEACH – Chicken Soup for the Soul Pet Food, a leading super-premium pet food company, donated 29,989 pounds of their nutritious pet food this week to help feed rescue animals in the Vero Beach, Florida area. The Vero Beach donation is part of the pet food company’s Fill A Bowl…Feed A Soul (FABFAS) program, a national campaign targeting one million meals for shelter pets annually. The food was shipped to Bark Avenue Healthy Pets in Vero Beach, FL where owner Kelly Wood oversaw distribution to local shelters desperate for nutritious food to feed their pets. “We are so grateful to Chicken Soup For The Soul Pet Food for letting Bark Avenue Healthy Pets help many of the small forgotten local rescues,” Wood said. Wood added that while bigger pet companies claim to donate millions of meals, local rescues in Vero Beach and Indian River County never see any of it. “These rescues rely entirely on donations for food, medical and foster parents. Because of their generous donation of nearly 30,000 pounds of pet food, we were able to help distribute food,” said Wood. “These groups are volunteer run and do it for the love of pets. We love Chicken Soup for the Soul Pet Food and their commitment to the independents!” says Kelly Wood of the considerate donation. “Chicken Soup for the Soul’s FABFAS program was created to help feed pets in need nationwide,” said Chris Mitchell, Chicken Soup for the Soul Pet Food CEO. 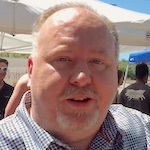 “We work closely with our independent pet specialty retailers to identify rescue organizations in their area where our food can have a real impact,” said Mitchell. Mitchell added that they believe that every pet should enjoy the benefits of premium nutrition. Healthy pets are happy pets and more readily adoptable, he said. In addition to the 29,989 pound donation to the Vero Beach area, Chicken Soup for the Soul Pet Food recently distributed more than 110,000 pounds to Hurricane Harvey relief efforts and has donated approximately 1.5 million nutritious meals to pets in need nationwide since beginning this initiative in June of 2016.